Driven down 17 South lately? 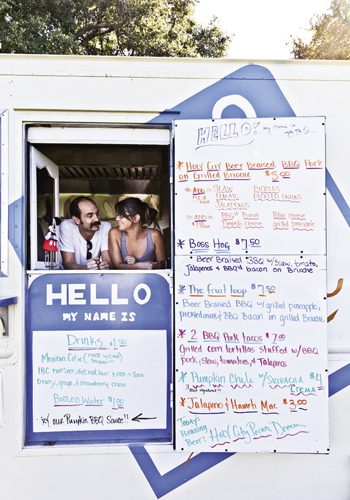 If so, you’ve probably seen Hello My Name is BBQ, the brainchild of husband-and-wife team Cody and Ryner Burg. The friendly vehicle, painted with a giant “Hello My Name Is” tag, often sits stationed at the Charleston Scooter company in Avondale. But, come noon each day, most folks in the parking lot aren’t there to test-drive a Vespa. They’re there to dive into the pulled pork. Ryner, the cook of the duo, does it up right, braising her pig in Holy City Brewing beer. 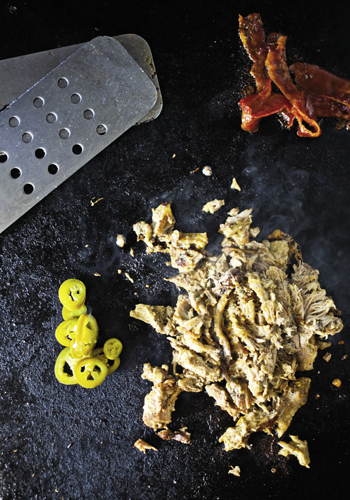 “Keep an eye out for our Holy City Bacon Stout Barbecue—there is nothing better than pork cooked in bacon beer,” she says. 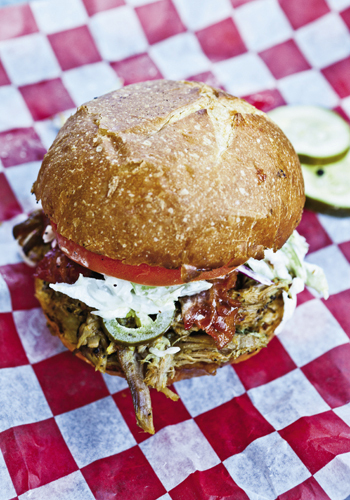 And don’t expect to find a bun holding together sandwiches like the Boss Hog. Hello uses brioche and tops their porcine plates with slaw, tomatoes, and jalapen˜os. As for the name of the place? The couple’s daughter, Emerson, came up with that. A few years ago, the family delivered homemade pickles to Emerson’s teachers. With no labels on hand, they’d substituted in name tags. When it came time to dub the truck, the creative girl knew exactly the right title. Drop by and introduce yourself, no name tag necessary.